In: Generational Divide, This is my life? Last night I attended the Red Hot Chili Peppers concert in the New Orleans Arena. After seeing Los Lonely Boys at the House of Blues in NOLA, my ears hurt for two days. This is the product of living with a rock band practicing in my living room every day as a child and attending too many concerts for forty years thereafter. I decided to wear earplugs last night. I need to protect my hearing because I am losing it. My father lost his. My generation is post-Beatles, post-Elvis. I did not live in a world without Rock and Roll. Perhaps there are other generation-related demographic statistics about ear damage. I am obsessed with aging. That became apparent to me when I approached my fortieth birthday. The obsession has only grown and it’s become all consuming. In the car on the way to the concert I mused aloud, “How could I be almost 50 and never see my Chilis live?” It’s a valid question! One of the people in the car said she thought it was awesome I was almost 50 and going to the concert. My heart skipped several beats. Wow. Just wow. 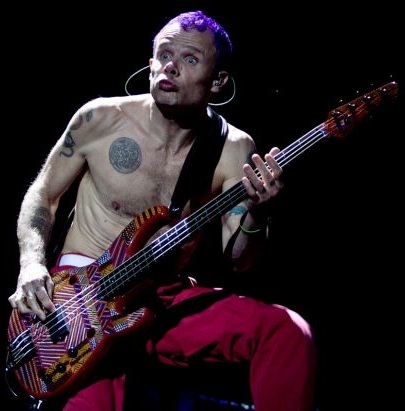 I felt vindicated when Flea thanked New Orleans for hosting the Chilis for 30 years. It’s great consolation that we are all aging. Sexual Politics Holidays Body Politics Rhinelander AKA The Wall Threes Teaching Tips Geek Culture That's Racist! National Politics That's Silly! George W. Bush Women's Movement D&D New York City Hillary Clinton Race Gratitudes Rhetorical Studies Comm Studies TV Shows Obama Higher Ed Women in Pop Culture My Home Racism Music For Wordies The Quotidian Books I have to Work? Presidential Elections War How to Baton Rouge Travel Aging Gen-Xer Louisiana Generation X Movies Media Ecology Family Rhinelander Great Quotes Trivia That's Sexist!